Holds two rolls of toilet paper at a time. One Roll is on a wooden dowel while the other is tucked out of sight. Stands upright or mounts easily from the back. 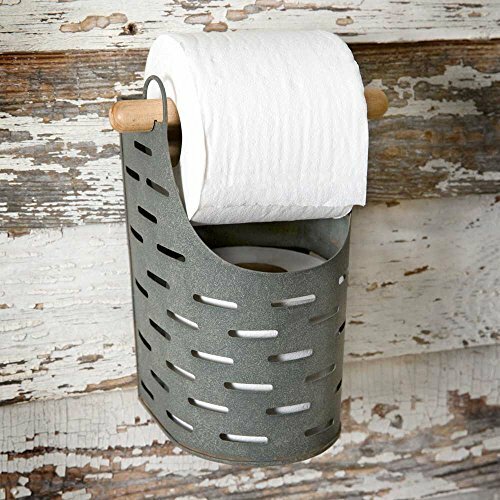 Wooden dowel is removable for easy toilet paper refill.